LOS CEDROS, Ecuador, Nov 5 – Ecuador is facing a lawsuit this week for giving mining companies exploration rights to a protected forest in one of the country's most biodiverse regions without local consultation. Brought by the local Cotacachi government, the lawsuit requests the regional court place an injunction on all mining activity within Los Cedros in the Intag Valley, a lush area of rivers and Andean tropical forest. The constitution requires the government consult with communities about programmes for prospection, exploitation, and commercialisation of non-renewable resources found in their land. " The lawsuit, a draft of which was seen by the Thomson Reuters Foundation, says the national government violated the constitution and forestry laws by ignoring Los Cedros' conservation status and concessioning the protected forest without informing local officials. The government turned over 70 percent of the Intag Valley into mining concessions, yet they didn't do a single consultation — not with the communities or with the local authorities – Jose Cueva, planning director at the Cotacachi government. In recent decades, the Intag Valley has seen some of the fiercest resistance against mining in Ecuador, a country rich in gold, copper and other minerals. Since 2008 an estimated 1.8 million acres of Ecuador's protected forests have been made available for mining exploration, according to the Rainforest Information Centre, an environmental non-profit based in Australia. The state has the right to extract minerals regardless of whose land they are located under, according to the constitution and Ecuador's national mining plan. Communities in the Garcia Moreno parish where Los Cedros and the mining concessions are located were not consulted before an environmental licence was granted to the companies, according to the legal action. "The mining companies have more rights here than the protected forests," said Josef DeCoux, who manages a research station within Los Cedros. The mining ministry and national mining agency ARCOM did not respond to multiple requests for comment. In two landmark cases earlier this year, local courts sided with rural and indigenous communities who argued the national government failed to inform them before designating land in their territories for mineral exploitation. A judge in the Sucumbios province near Colombia barred mining activity in 52 concessions, while another in the southern province Azuay halted a gold and silver mine called Rio Blanco, according to media reports. 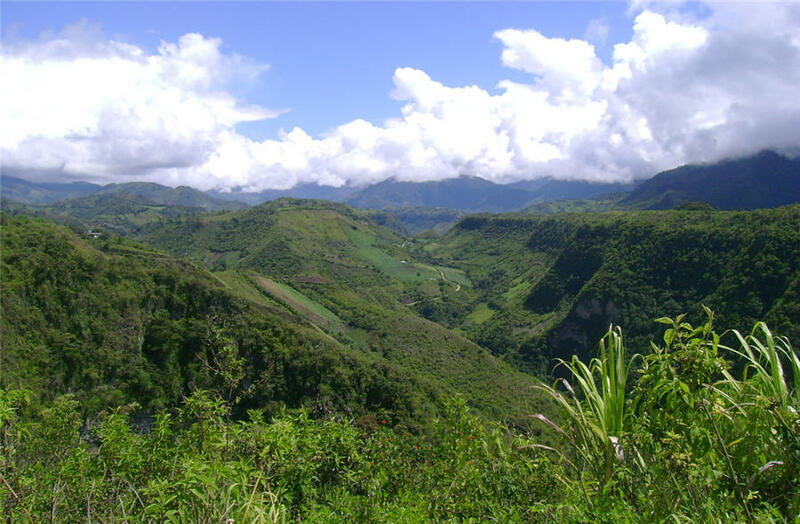 Ecuador's protected forests are open to mineral exploration but (are) subject to strict environmental standards supervised by the Ministry of Environment. Edgar Merlo, a lawyer who helped draft the latest suit, said the rulings emboldened the Cotacahi administration because similar violations happened in Los Cedros. "I think it's opened the door for a lot of future litigation," he told the Thomson Reuters Foundation. National mining company ENAMI is developing the concessions in Los Cedros in partnership with Canadian mining firm Cornerstone Capital Resources. The project is still in the early stages of exploration and is not yet utilising drills or other heavy equipment, according to Brooke Macdonald, chief executive of Cornerstone Capital Resources. Mining companies are obligated to remediate any environmental damage that may occur, he added. The lawsuit filed by the Cotacahi government says ENAMI is already damaging the protected forest by carving new trails in areas inhabited by the endangered Andean bear, and by clearing forest area for temporary mining encampments. The national mining company said on its website there had been "no tree-clearing in the Rio Magdalena 1 and 2 mining projects," naming the two concessions that overlap with Los Cedros. Macdonald said that "no water is used and no trees are cut" in the current exploration phase. But the Thomson Reuters Foundation visited the area in question and discovered a site measuring about 100 square metres that had been cleared of trees and vegetation to make way for a temporary mining encampment. "Los Cedros is one of the best preserved forests in Ecuador but they're already seeing the impacts (of mining activity)," said Cueva. To repair the damage, ENAMI workers planted saplings in the area they cleared, according to Decoux. ENAMI did not respond to multiple requests for comment. In 2014, despite community protests, the environment ministry granted ENAMI and Chilean copper mining giant Codelco permission to develop a mining project near the town of Junin in the Intag Valley. Junin's community leader Rona Garson Piedra, an employee of the mining project called Llurimagua, said agriculture only pays about $250 a month — about two-thirds of Ecuador's minimum wage. In contrast, community members can make between $800 to $2,000 working at the mining project, he said. "We realised that agriculture, in previous years, left us broke. For us to try and transport our produce out of here and to markets in the biggest cities is really difficult," Piedra told the Thomson Reuters Foundation. Marcia Ramirez, a relative of Piedra's who runs an eco-lodge in a community-designated nature reserve in Junin, said she has lost five employees to the mining companies since 2014. "Almost all of us are family (in Junin) here but at the start of the mining project we weren't even saying 'hi' to each other anymore," she said. Codelco did not respond to requests for comment. The Llurimagua project is still in the exploration phase but its environmental impacts are already coming to light, say experts. Since 2015 an independent collective of 70 scientists and local residents have been tracking water quality levels in the streams and micro-basins that run downstream from Llurimagua. They have documented landslides near exploration activity, as well as dangerous levels of chemical elements like arsenic, manganese, copper and molybdenum in water sources. "This is … very worrying (and) gives one the right to start questioning what's going to happen once the companies start extracting," said William Sacher, an academic from Simon Bolivar Andean University who leads the collective. Silvia Quilumbango, president of the environmental group Defense and Ecological Conservation of Intag, said farmers in Intag use pesticides and other chemicals that filter into water sources. "But the contamination from extracting metals is much more permanent (than farming)," she said, adding she was working to train more Intag farmers in sustainable agriculture practices. DeCoux said water contamination is just one of the reasons he is hoping judges will grant an injunction on the mining concessions in Los Cedros. "They (the mining companies) have to build trails, they have to build roads, they'd have to start tearing up the forest to get those drilling platforms up here," he says. "It'd be the end of this pristine area."